Inside her Cannes villa, Floriane Fosso designed a showroom nestled in the style of a private apartment, where her collectionS and accessories merge elegantly. The guests could discover the young guard of designers who will make the fashion of tomorrow as well as established brands such as: COSMOPARIS, Tanya Heath, Maison Ruban, , Solar Eyewear, Maison Zancanaro and Gisel B. A retrospective of the most beautiful shots in Cannes by photographer Sébastien Vincent. "Capture the moment even in the emergency." It is with this credo that the photographer has worked for 4 consecutive years at the Cannes Film Festival for Première magazine. Jean Dujardin, Léa Seydoux, Mathieu Amalric, and many others, are many to have passed in front of the lens of this passionate man. The story of Maison Ruban begins with a strong friendship between Aurélien and Emmanuel. As young engineers, they quickly realize that their ambitions, their desire for creativity and independence were essential to them. At the corner of a small Philippine market, Emmanuel discovers a shoe booth for women offering a plethora of models of all kinds. Seduced by several models, her friend had to choose only one pair. That frustration was the trigger factor for the young man to imagine a shoe brand that would enable women to have many possibilities with only one pair of shoes. Maison Ruban's promise: offer a daily customization. COSMOPARIS is an emotional brand, whose shoes and bags are creatively designed to make the heart beat and shine the eyes of the women who wear them. Pumps, sneakers, derbies, sandals, rollers ... COSMOPARIS adapts to all situations and moods, for all occasions. Chic, casual, classic, trendy, shoes addict, cheeky, feminine, girlfriend, lover, mom ... The COSMOPARIS woman does not lack audacity, she is freed from what other people think: when she comes out with her shoes nothing can stop it, she just glows! 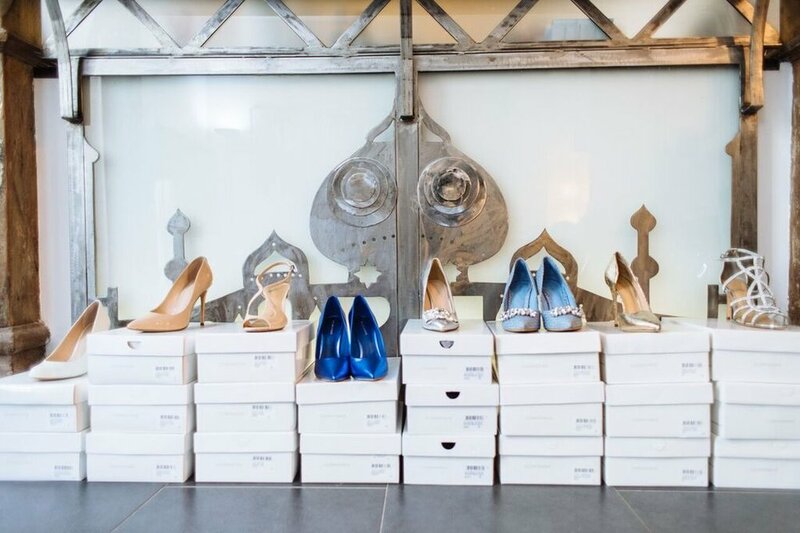 "Tanya creates her unique line of adjustable height shoes with removable heels, for women who like her, are busy, uncompromising, playful, and smart. Tanya is a true high heel lover because they make her look great and feel confident. Sadly, they hurt her feet but comfort shoes just didn’t look right with a cocktail dress or her favorite skinny jeans, which made changing shoes throughout the day the only credible solution. Frustrated by footwear choices that simply could not keep up with her busy life, Tanya decided to revolutionize women’s shoes by creating a shoe that could adapt to her multifaceted life. In 2009 she quit her job and took the plunge to try to find a way of making her dream shoe become a reality."